Your phone's security is more important than ever, and Google knows it. 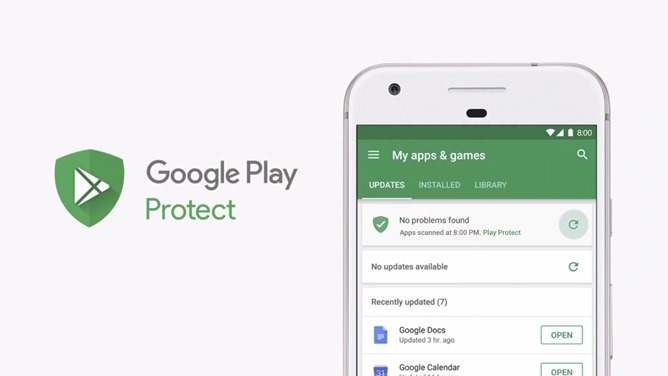 The internet giant is launching Google Play Protect, a suite of services that help you secure any Android device with Play Store access. The feature scans apps for threats and will either keep these rogue apps off your device or remove them. It's always updating, and its relatively high visibility promises greater transparency into the security of your Android gear. Today, Google announced this feature as part of their efforts to double-down on security. Boasting the fact that their machine learning algorithms scan over 50 billion apps each day, Google emphasized the importance of security on the Android platform. 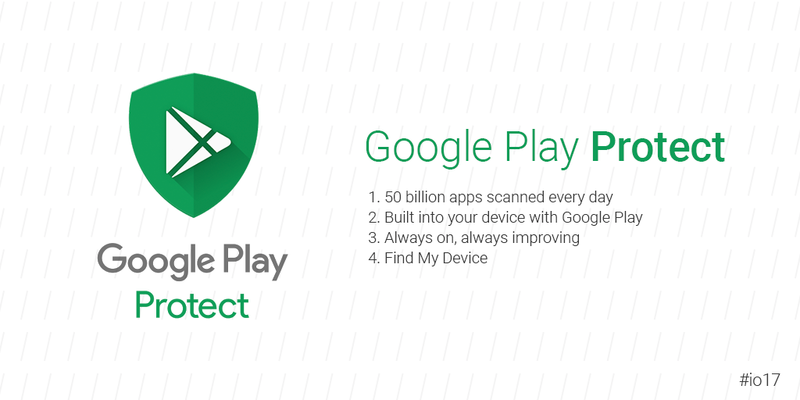 Play Protect is Google's way of bringing their existing screening process to the foreground of your experience. Using the new Play Store, you will see when your apps were last scanned. It will automatically update itself, detect, and remove dangerous apps. Google clearly wants its users to feel safe in knowing that it has an automatic process in place not only in the background but on your device as well.